Ryanair, the low-cost-high-fee budget carrier today became the first airline to land at the new Región de Murcia International Airport, which was officially opened by his Majesty King Felipe VI of Spain. 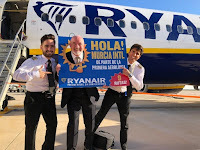 In Murcia, Ryanair’s Chief Commercial Officer David O’Brien said: “Ryanair is pleased to celebrate the arrival of our first flight at Región de Murcia International Airport. Ryanair was the first airline to touch down in Spain’s newest airport, our 27th Spanish destination, where we will carry over 660,000 customers in the next 12 months." 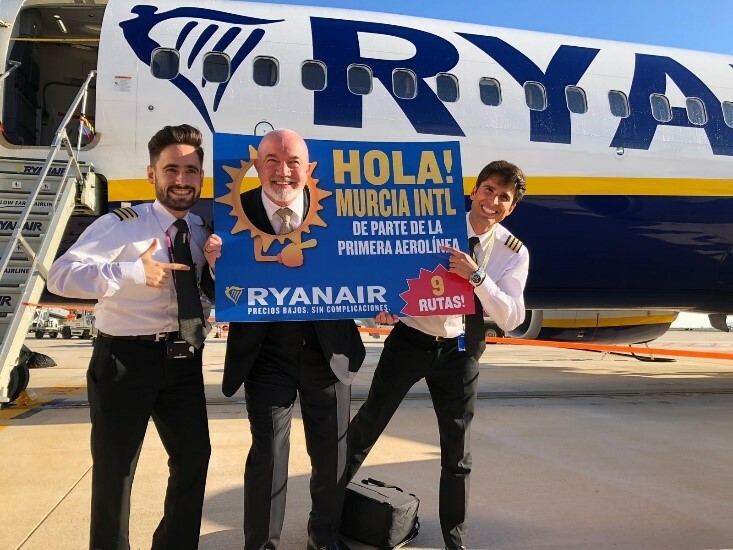 "As Spain and Murcia’s number one airline, we are delighted to officially launch our first ever Summer 2019 schedule for Región de Murcia International. Ryanair’s schedule includes 9 international routes to Murcia International, which will deliver 660,000 customers through this new airport." 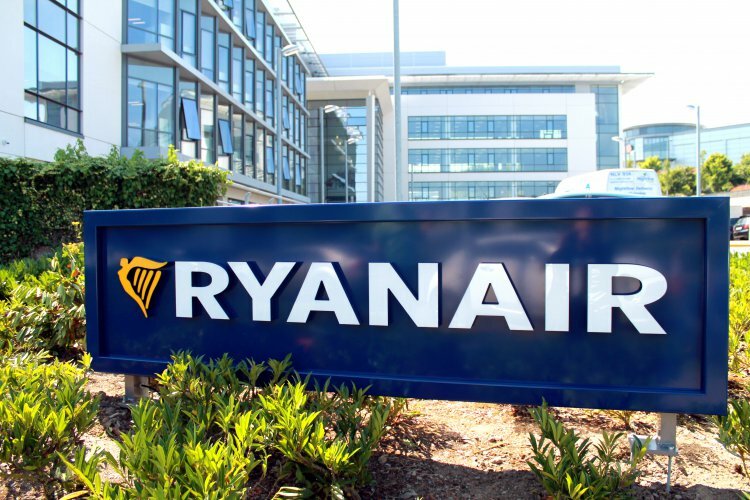 Incidently, Ryanair has halted the operations of its small package holiday business, it will continue to honour existing bookings, which will continue as booked, but no new holidays can be made.